Princess Noor & her husband Mr. Amr Zedan with the Duke of Cambridge during a polo match last July. Princess Noor gives a birth to a little boy naled Talal congratulations to the happy parents. Congratulations to the couple & to Princess Haya as well !! Now she has half-siblings from both her parents. From what do you know this little boy is Princess Noor's son? It was shared by Mr. Zedan on his Instagram account. 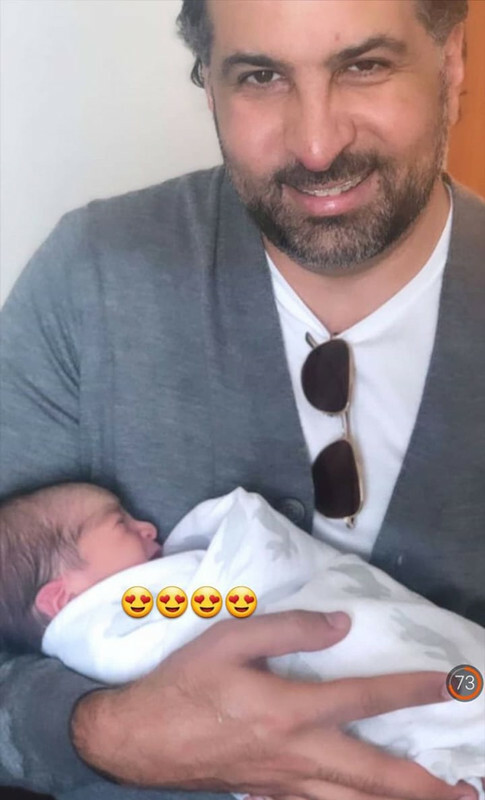 I have seen another photo for the baby with Prince Hashem Bin Al-Hussein shared by Mr.Zedan & the al3oun Instagram account. Some of the couple's friends mentioned that baby Talal Zedan was born in Amman.